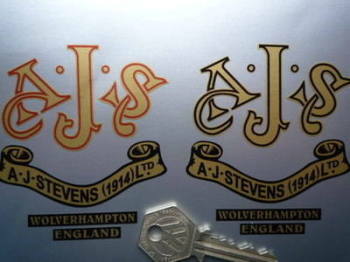 AJS A.J.Stevens Wolverhampton Vintage Scroll Sticker. 3". AJS Black on Gold Circular Stickers. 50mm or 60mm Pair. AJS Black on Gold Oval Stickers. 2.5" Pair. AJS Black on Yellow/Silver Circular Stickers. 3" Pair. AJS Cafe Racer with Pudding Basin Helmet Sticker. 3". AJS Champion Spark Plug HT Cap Cover Badges. 29mm Pair. AJS Cut To Shape Black Stickers. 2.25" Pair. 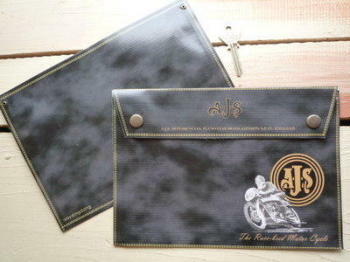 AJS Flag & Scroll Sticker. 3.75". AJS For Every Occasion Banner Art. Special Offer to Clear. 27.5" x 20.5". AJS Garland Style Laser Cut Self Adhesive Bike Badge. 1" or 2"
AJS Gold on Black Circular Stickers. 60mm Pair. AJS Great Britain Union Jack Style Stickers. 2" Pair. 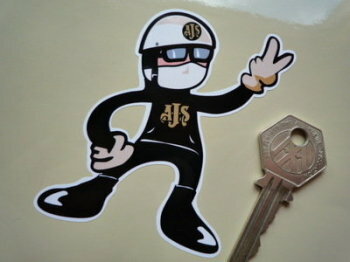 AJS Large Black & Gold Oval Sticker. 17". AJS London Mudguard Style Sticker. 2". 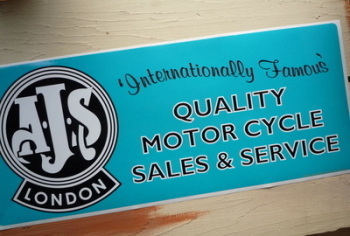 AJS London Quality Motor Cycle Sales & Service Sticker. 23.5". AJS London Royal Flush Playing Cards Style Sticker. 4". AJS London Side Panel Style Sticker. 6.5". 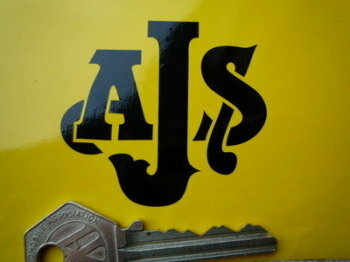 AJS London Style Window Sticker. 11". AJS NGK Spark Plug HT Cap Cover Badges. 22mm Pair. AJS Race Bred! Banner Pennant. 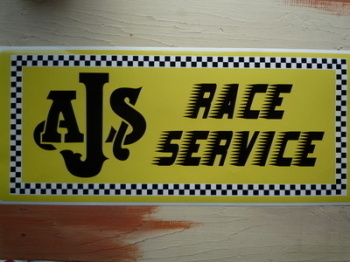 AJS Race Service Workshop Sticker. 23.5". AJS Red & Silver Circular Sticker. 3". 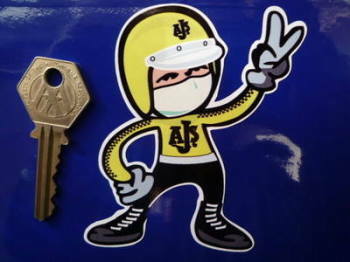 AJS Rider Jet Helmet 2 Fingered Salute Sticker. 3.5". AJS Rider Pudding Basin 2 Fingered Salute Sticker. 3.5". AJS Round Tank Style Stickers. 2.5" Pair. 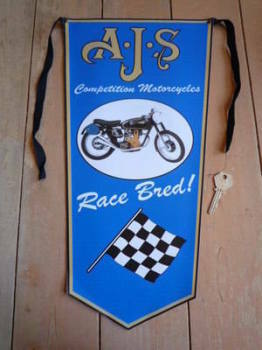 AJS The Quality Motorcycle Banner Art. 28". AJS Till I Die Skull Sticker. 3". 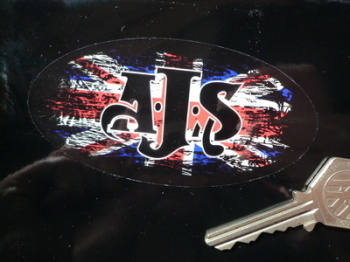 AJS Union Jack Fade To Black Oval Sticker. 4". AJS. 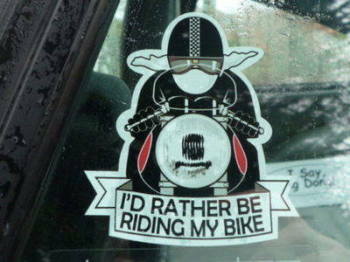 Winged Helmet Sticker. 3.5".